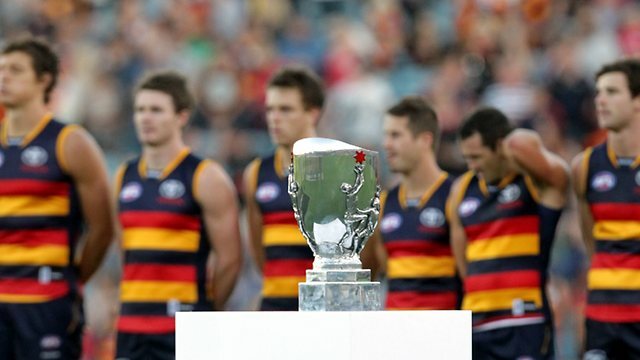 Get Rid Of The NAB Cup – Replace It With This. Therefore, I think it needs to go. But wait now, you can’t just not have a pre-season. That’s the way of the world – every league needs a pre-season in one way, shape or form. Which begs the quesiton: what form should the AFL pre-season take? How fortunate… I have the answer (I actually have several answers, but here’s one of them). First of all, you don’t need four weeks of this build up. The AFL is already the most watched sport in the country so believe me when I tell you that people will know when the season is starting. And if they don’t, then you’ve got bigger problems than how you should structure your pre-season. Second, let’s be honest about what the NAB Cup is for. For everyone, it’s for checking out new talent. The fans want to know who’s new, the coaches want to know who they’re up against, and the Dream Team-ers want to know who to put on their team. So why not embrace this mentality? Make it a Dream Team Weekend. More than 200, 000 people participate in AFL Dream Team, many of whom are die hard fans and just love footy. So you need to play to that. make it easy for them to want to attend an event that’s based around Dream Team (or at least caters to their needs). This would, ideally, take place three weeks before the season starts. Part 1: Pick a location (seriously, it’s going to be Melbourne) consolidate the NAB Cup to happen over a single weekend (Friday, Saturday, Sunday) and make clubs use (primarily) newbies. Keep the structure of the NAB Cup, just tighten the schedule. Multiple games can happen at once – if Melbourne is the place of choice, use both stadiums, they’re close enough together. People can buy one ticket to see all the games over the weekend (or a one ay pass, one game pass, etc – the ticketing options are endless). Part 2: Can you do a skills challenge for the older guys? I KNOW the AFL will never figure out the All-Star thing (and they shouldn’t – it’s a waste of money) but between games, how fun would it e to see a quick skills challenge between a couple popular players? Even better, if the young guys aren’t tired from playing, put them through the ringer. I can’t speak for all Dream Teamers, but I’d love to see these guys prove themselves. Put those popular players to use – people who aren’t Dream Team Fans will come for this stuff. Have popular players be signing autographs, hosting workshops, doing fun stuff (like running the concession stand). Get Dane Swan to run the merch stand that sells these stubbie holders. I have never heard of a better idea. Put those non-play workers to use – I can about 50 people (off the top of my head) who would attend a mini-workshop (I’m thinking 30 minutes) on what an AFL player does on a normal day, in terms of workout. Now, that may be confidential information, but honestly – people would pay to go to those things and what are the trainers doing when their team isn’t playing? Get family friendly – most clubs nowadays are targeting families (Freo, GWS are two obvious examples) and the AFL should follow that lead. Make sure there is fun stuff for kids and you’ve got gold. Photo ops with team mascots, mini-skills challenges, and, the worldwide winner: a bounce house. Kids won’t be able to say no and therefore, their parents can’t, either. Get the DT Talk guys. GENIUS. Dream Team is a serious business and you want people who can speak to that at Dream Team Weekend, don’t you? Sponsorship activation – not only can you get someone to sponsor the event, but this is a perfect opportunity for the league and it’s teams to get their sponsors some more exposure. Let them set up booths and create opportunities for people to try out their product. No one can say no to that. Two weeks from the start of the season, after everyone has had a big Dream Team Weekend, each team hosts a launch party. I’m not talking about these formal affairs and I don’t necessarily mean something family friendly. I mean something where people can have a drink, have a dance, and mingle with the players, staff, etc. I’m envisioning a middle school dance, but with better lighting and at a bar because we have to admit that most of Australia’s sports watchers are also beer drinkers. Get the players to perform some karaoke song. Get a raffle going. Help a charity. Reveal your theme for the season. Just do something big that let’s people get behind the club before the season starts. Like this one, or this one, or this one. Get inspired. You then have two weeks before the season starts. C’mon, you’d go to those events, right? I am going to create a sample schedule and write a few posts that include more detail about what I’ve said here – is anyone interested in that? Okay, now even though no one responds to me when I ask questions (as my boyfriend sadly pointed out) I will ask anyway: what do you think? Would you go to this?